Newbies to the ski slopes, January is for you. January is "Learn to Ski and Snowboard Month," when ski resorts around the nation make extra efforts to reach out to new, wobbly snow bunnies and help transform them into fierce snow cats. As part of the celebration, you can find special classes and deals for beginner skiers. In 2016, for example, 160 different ski resorts across the nation banded together to offer special, separate beginner ski and snowboard lessons at the same time and day in their respective time zones. The goal: to set a new Guinness World Record for the biggest ski and snowboard lesson (taught separately, of course) in history. This was the first time ski resorts attempted such a coordinated effort. Event organizers expected more than 500 newbies to take their first lesson at the same time, beating the standing single-venue record for either ski or snowboard lessons. Fourteen of Colorado's resorts committed to the cause, according to event spokesperson Max De Filippis. Locations in Colorado participating included: Keystone Resort, Winter Park Resort, Copper Mountain, Beaver Creek, Buttermilk, Sunlight Mountain Resort, Powderhorn, Arapahoe, Breckenridge, Vail Mountain, Steamboat Sky & Resort, Snowmass, Crested Butte Nordic Center, and Wolf Creek. Organizers tried to beat the record again in 2017. Check Aspen/Snowmass for newbie specials throughout January. Here, lessons are taught differently than the traditional method. Teachers bring skiers to special snow features specifically created to teach different skills. They call this Terrain-Based Learning. Check out the Beginners' Magic group lessons, which include a lift ticket and equipment rentals. Learn at your own pace in the beginner areas. You can also find ski packages at hotels. For example, in the past, the Limelight Hotel in Aspen has offered a beginner's package that included three days of beginner lessons, four nights at the hotel, daily lunch, pro guides, equipment rental — everything you need to streamline and simplify the process. The all-inclusive package was a simple way to start your hobby on snow. Check with your hotel to see if it offers any similar hook-ups. Breckenridge is another great place to learn. Breck offers EpicMix Academy, a fun way to track your progress online. Sign up for a group lesson or private session (a lot more expensive but also more individually tailored). Or for something extra special, we love the Women and Wine classes: a half day of skiing (women only), rewarded by a free glass of wine. Consumed in that order, please. Keystone also offers the EpicMix Academy and similar features as Breck, but on different slopes. Interested in snowboarding? Find group, private, children's, all-women, or family lessons. Kids as young as 3 can hop on the board. They learn in small groups at the Ripperoo's-Burton Riglet Park in the Mountain House Base Area, a park plus play area that maximizes fun. Money-saving tip: Book online for discounts. 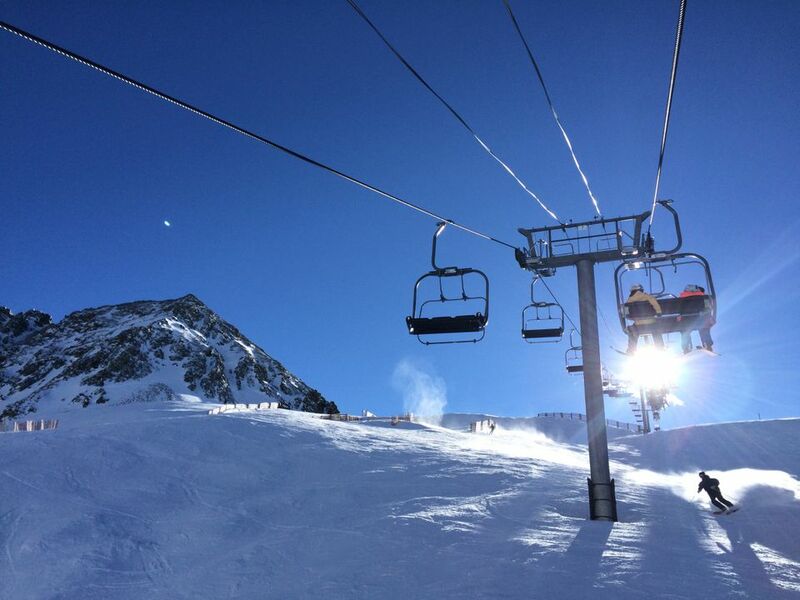 Arapahoe Basin also typically runs beginner specials throughout January. In the past, throughout the month on Sundays, they have offered Super Sunday lessons (discounted lessons for first-timers only), followed by free, one-run lessons in the afternoons. Participants received an instructor's help for a single run on the Black Mountain Express Lift. This was a great way to improve your skills, learn more about the school or get a total beginner taste. All levels welcome. Details to come if this offer is available in 2017/2018.